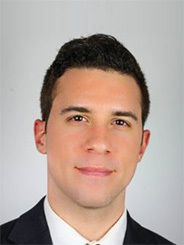 Mr. Fernandez joined the Firm’s Matrimonial and Family Law Practice Group as an Associate in August of 2018. Immediately prior to joining the firm, Mr. Fernandez, a native New Yorker, practiced at a boutique matrimonial firm in New York City representing high net worth clients in various matrimonial and family law matters. While almost exclusively practicing in the area of matrimonial and family law now, Mr. Fernandez has years of experience as a commercial litigator. Mr. Fernandez zealously represents the interests of his clients in all family law matters, including divorce, child support, custody and visitation, maintenance proceedings, prenuptial, and postnuptial agreements. Utilizing his extensive litigation skills, Mr. Fernandez works tirelessly to achieve the best outcome for his clients.